After my husband died I really struggled. I stopped taking care of myself. I gained 100 pounds, developed diabetes, and even developed gum disease which led to losing several teeth. I didn’t care. Then, one day I was at a park and smiled at a little girl and she asked if I was homeless. I realized then, things had to change. I have a full life ahead of me. I started eating right. I joined a gym. I’ve almost completely lost all the weight I gained and I no longer have gum disease. I asked my dentist about what he recommended for my missing teeth and he suggested all-on-4 dental implants. I was super thrilled about the idea of having a full mouth of teeth again. But, I went home to do some research and learned that diabetics shouldn’t get them. I don’t want to pay all that money if it’s not going to work. What should I do? I really want teeth again. First, let me add my condolences. Don’t be too hard on yourself regarding how you dealt with your grief in the beginning. It’s almost suffocating to lose a loved one and we all seem to lose ourselves at first too. You should be really thrilled with the incredible progress you’ve made since then. I think the healthy changes you’ve made are remarkable. You’ve already taken care of your gum disease, which is huge. A responsible dentist will NEVER give a patient who has gum disease dental implants. There’s no way for your body to retain them well, just like when you suffered from gum disease, they couldn’t retain your natural teeth. They will fail. Because you’ve already turned that around it’s not a worry for you. You didn’t mention anything about smoking, which I hope means you’re not a smoker. Smoking lowers your blood flow in your gums which increases your risk of infection, a leading cause of dental implant failure. You also increase your risk of redeveloping gum disease. Your diabetes is under control, so again, Yay! not a problem for you. I think you’re likely a good candidate for dental implants. 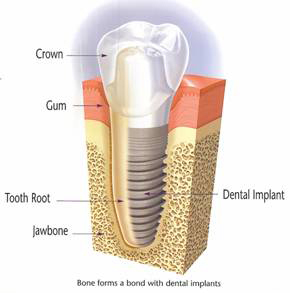 Are All-on-4 Dental Implants the Right Choice for You? The only real reason to do the All-on-4 procedure rather than traditional implants is bone loss. Sometimes, with gum disease and tooth loss, you lose so much jawbone structure you don’t have enough to retain dental implants. All-on-4 is one way to get around that. However, there is a better, more reliable option. If you don’t have enough bone to support traditional dental implants, I’d consider getting bone grafting done. It will build back up your bone structure. Then you’re free to get whatever procedure you want. I hope this helps you make your decision. Best of luck and congratulations on all your hard work!